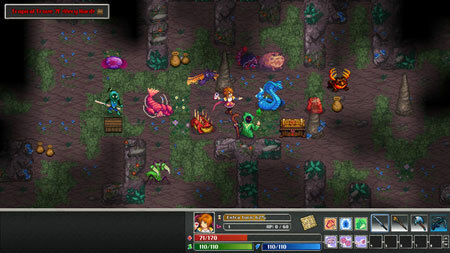 Tangledeep – Legend of Shara is a full expansion to Tangledeep, which is an awesome RPG developed by Impact Gameworks. It adds breadth and depth to every aspect of the game for players of all skill and experience levels. The game tells a new tale in the world of Tangledeep with a unique story, boss encounters, and new gameplay. Begin your ascent in Riverstone Waterway instead of Cedar Caverns. Challenge the Realm of the Gods, a new post-game area with the hardest monsters and champions imaginable. Encounter the Mysterious Wanderer and explore Wanderer’s Journeys: entirely new dungeons with bizarre creatures, scenarios, and treasure. Discover ancient Relics, rare items with limitless combinations of legendary powers and bonuses. If you get stuck in the game, check out the video walkthrough and gameplay for the game. This entry was posted in PC Games, Walkthrough and tagged Tangledeep - Legend of Shara Cheats, Tangledeep - Legend of Shara Gameplay, Tangledeep - Legend of Shara Guide, Tangledeep - Legend of Shara Strategy, Tangledeep - Legend of Shara Walkthrough by Marvin. Bookmark the permalink.